It’s that time of the year again when food lovers from all over the globe descend upon Malaysia to take on the rich culinary adventure that is the Malaysia International Gourmet Festival (MIGF).Get ready for an appetizing feast as gourmet restaurants and top chefs whip up a variety of special dishes and delicacies using fine, quality ingredients. Travel around the country and savor delicious culinary creations. 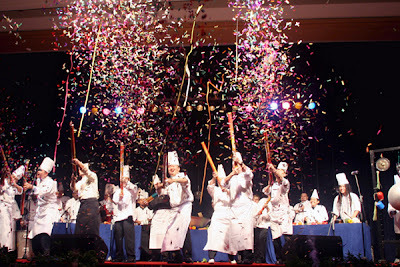 With an iconic theme, “Classical Chefs!”, the 12th international award winning Malaysia International Gourmet Festival will take place from the 1st to 31st October 2012. For an entire Festival month, Malaysia’s top restaurants will serve up Special Festival Menus at Special Festival Prices. The theme “Classical Chefs!” represents a revisit to pure and sincere cuisine. A fabulous line up of restaurants and celebrity chefs will ensure the very best of traditional cooking whether it is Malaysian, Japanese, Korean, Italian, French Cajun, Creole, a taste of Cuba or Caribbean or any other variety. 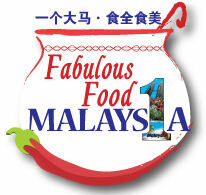 So don't miss out - make a date now to be in Malaysia and relish the variety of delicacies. Come along and enjoy the finer things in life!